The AP has reported that Iran might be moving their uranium enrichment facilities, as safety becomes an issue. Iran is reportedly concerned against a Western strike on their facilities. Neither Israel nor the US have ruled out a possible military strike again the nuclear program, citing that they believe Iran could be developing atomic weapons. However Iran is adamant that their facilities are creating electricity and radioisotopes for treating cancer patients. Gholam Reza Jalali, commander of the Revolutionary Guard’s anti-sabotage unit has said that an attack is not probable, but that the move may still occur for protection of the facilities. The Natanz enrichment site is the most central to Iran and most of the site is built underground. The Fordo facility is built into a mountain to protect against aerial attacks. Jalali also said that he believes the West would have already attacked if they intended to do so. 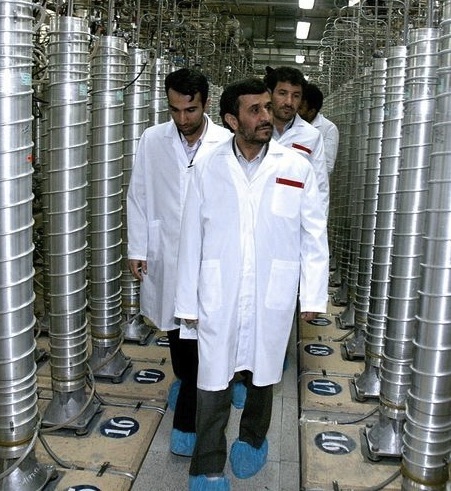 Most of the country’s centrifuges are located at the Natanz site. This is a main concern of Iran because this technology is used for the uranium enrichment procedure. Uranium can be used as a fuel for power plants or it can be used as a fissile material in nuclear warheads. In 2009 A sophisticated computer worm called Stuxnet targeted the Natanz computers. This specific computer worm is designed to make centrifuges uncontrollable. Iran has since acknowledged that Stuxnet did affect a number of their centrifuges, but that it was neutralized before major damage was inflicted. Iran has not elaborated on where they might move the enrichment sites. This could be a very large process in moving the equipment and there are not very many sites that could house the equipment safely. In August, Iran moved some of their centrifuges to the Fordo site. This is located just north of Qom. Fordo is known to offer better protection from airstrikes. It is not known if the units cam from Natanz.